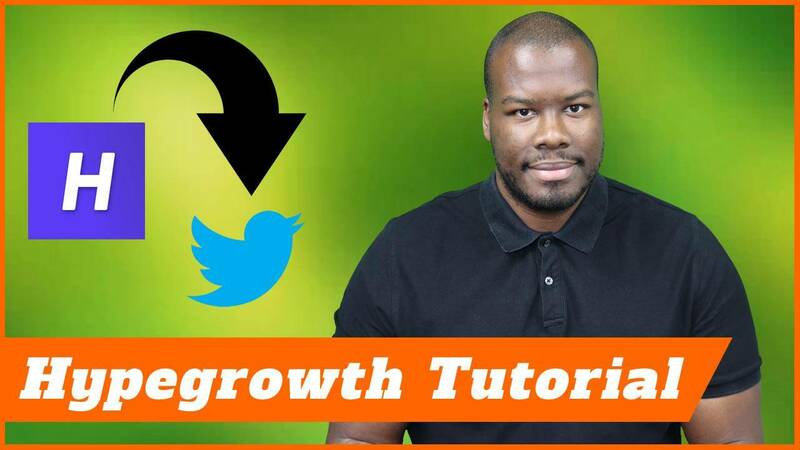 I’ve previously spoken about tools I use to automate my Twitter account and encourage growth. Now, one of my favourite tools in the world to do this is called Hypegrowth, hype growth. Now, this tool is fantastic. It automates your Twitter growth. I’m going to show you exactly how to set it up to get the best results to grow your engagement and allow you to focus on the meaningful engagement manually. Let’s jump right into the system. I’m going to walk you through it right now. Hi guys. I thought I’d show you very quickly how to use Hypegrowth. It’s one of my favourite tools on Twitter. First of all, head over to hypegrowth.com, easy enough first step for you there. Head over to this website and then you’ll go on to this page. What I will do is I’ll show you my personal account. I won’t go into any kind of login and signup process, but I do believe they’ve got a three or five-day trial. Feel free to take that out and see if that works for you. Anyway, I’m going to log in under my own account. All my details are saved. Once you’re logged in, this is what the login screen looks. This is essentially the dashboard. In the top right corner, you can see your last seven days of growth. Now, don’t expect anything crazy here. Again, the reason I like this tool is because it’s a slow engagement build opposed to a lot of these really spammy tools that get you thousands of followers overnight. You can see on the 23rd of February, so seven days ago from the making of this video, I have gained about about a hundred or so new followers on Twitter, which is about right, which is kind of in line with the growth I’m expecting for the kind of audience I’m trying to get in touch with. This button here turns that on or off. If you feel like you’re getting too much engagement, which is not necessarily a good thing all the time, you can turn this off quite easily by clicking this button right here where it says Engage. Now, the way this works is you choose a number of keywords or hashtags you want to be interested in based on your business and then what will happen is Hypegrowth will automate engagement based on people tweeting those hashtags or those keywords. Let’s take a look at my list of keywords first of all by clicking this icon right here. You can see I’ve got keywords like PPC, SEO, social media. I’ve gone along the lines of using only hashtags. Now, the reason I’ve done that is because the keyword targeting you could put combinations in, which works quite well, but I want to be quite restrictive in who I interact with. I want to make sure they’re talking about exactly what I’m talking about. This is kind of a fail-safe for me on my part. It seems to be working quite well. You want to put as many keywords or hashtags as you can in here. If you put two or three, it will cause problems. You want to know who you’re actually engaging with, which is very important. This next report here is the log view. Now, this will show you all of the engagements you’ve done. You do a number of different things, you can like tweets, you can follow different people, and they’re the two main interactions you can do. Now, what happens is when you follow somebody, hopefully, they engage with you back or they follow you back. If they don’t do either of those things, then we can unfollow them over a period of time. I think the period of time is 15 days or so. It’s kind of a loop. I know this might seem a little bit spammy, but at the end of the day, I think automating Twitter is important because you want to focus on your one-to-one engagement on Twitter and reaching out to people. The growth of your audience, if you can also make that, I guess, where Twitter’s concerned is that you want more eyeballs on things like Instagram and better social media networks. For me, Twitter is kind of dying a little bit. I’d rather spend my time automating things like this, focusing on my one-on-one engagement and then doing things like that. Here’s the list of all the different interactions you could see today. I followed all of these different people. I’ve liked different tweets as well. Pretty much, all the automation is based on follows and likes. The idea is if you automate a like of someone else’s tweet, they get to see your profile and hopefully, they engage with you as well. Again, as I keep stressing with this, don’t forget to focus on one-to-one engagement because that’s what’s key, that’s what’s important on Twitter, and an audience on Twitter, I guess, isn’t as huge as an audience on Instagram in terms of engagement rates. Even the biggest people on Twitter get pretty crap engagement rates based on the number of followers they have. I hope you enjoyed this tutorial. It’s a very simple piece of software. I’ve left a link in the description below of the software itself. You can go and sign up there. There’s no affiliate link or anything like that, so don’t worry, I’m not going to make any money from this. I just like this tool, and it’s something I find quite useful. You can also change the settings of your engagement, which is really important. You can do blacklisting of keywords. If you think a keyword is going to be something detrimental to you, so you’re going to put the keyword in here. That will stop your interaction based on that keyword. If I was doing something like PPC, I know, for example, there’s a South African aggregate concrete company called PPC which is quite popular. I might put concrete in my negatives here, for example, if I wasn’t using the hashtag PPC. There’s different combinations you can do. I’m sure you probably think of a million of them from your industry, but overall, this is where you put them. You can also exclude accounts as well. If you know someone’s a bit spammy in your industry talking about the things you talk about, for example, those retweet accounts where people just literally have a picture saying, “Retweet this to get more followers,” or whatever it might be, you can exclude those kind of guys as well. This will really help with that. You can follow other people. If you don’t want to follow other people, you can turn off here. If you want to continue to follow people even if they don’t interact to you, you can turn that off here as well which I wouldn’t necessarily do, but you might want to do that. You can stop favouriting tweets if you want to. Also, the other thing this program does is it unfavorites tweets as well as people don’t interact with you. You can also unfavourite previous tweets because if you’ve got a massive bank of favourited tweets on your accounts, that can look quite spammy in itself as well, even though technically, we are automating our account which is seen as a dirty word in some circles, you still want to make sure you seem as natural as possible. That’s why the growth on this platform is not rapid. It’s over time. Of course, you’ve got to still produce content. You’ve still got a tweet because end of the day, you can interact with as many people as you want. If you haven’t tweeted since 2009, then there’s going to be a problem. Guys, I hope you really enjoyed this tutorial. Again, as I said, link in the description below. Let me know what you think, but apart from that, I’ll see you guys on my next video. Cheers.